What's the role of foundations in helping nonprofits become more diverse? The Center for Effective Philanthropy (CEP) explored this question in a recent survey of nonprofit CEOs, and its findings reveal potential paths forward to diversify organizations that remain primarily staffed by white employees in an era of rapid demographic change. The question of what foundations can do to promote diversity in nonprofits is hardly new. Funders have been grappling with this issue for years, if not decades. To complicate the matter, CEP's survey reveals that some nonprofit CEOs are not interested in tackling these issues with funders, and that there are major gaps in communication between grantmakers and grantees in this critical area. A total of 42 percent of nonprofit CEOs surveyed said funders did not discuss diversity issues with them at all. And while it's become common for funders to request demographic data from nonprofits, around half of the CEOs said that their foundation funders haven't requested information about the demographics of their full staffs or senior leadership. Some respondents suggested that the lack of dialogue between funders and grantees on issues of diversity was a major problem. As one CEO said in regard to racial inequity, "If we are going to eliminate disparities that negatively impact people of color disproportionately, funders, nonprofit leaders, policy makers, all of us need to have the courage to talk about race, racism, and how it contributes to, if not causes, the disparities we seek to eliminate." A lack of communication was a recurring theme of CEP’s findings. To give one example, only 21 percent of the CEOs said foundations explain how they use the demographic information they collect. One executive expressed concern that demographic data sharing could reduce the individuals and communities they serve into statistics and stereotypes. But, to be clear, not all the CEOs surveyed said they want to work with their funders more closely on issues of diversity. In fact, a striking 42 percent said that they wanted their foundation funders to be "not at all involved or not very involved" with their diversity efforts. But 60 percent of the nonprofit representatives said they do want their funders at least somewhat involved in this area. Along with improved communication, the nonprofit CEOs expressed interest in receiving support from foundations in the form of funding and professional development opportunities. Diversity hiring practices is an area where nonprofits need to do a lot of work. Only around half of the CEOs said their teams request that search firms provide them with a diverse candidate pool, and only 11 percent ask candidates to complete anonymous demographic surveys so they can evaluate the identity composition of the pool. A study published earlier this year by the Center for Public and Nonprofit Leadership at Georgetown University suggests foundations can also help nonprofits by paying staff for time spent on racial equity work, helping to find and support recruitment pipelines for people of color, and creating networks that will continue to advance these processes. Meanwhile, of course, the foundation world has its own diversity challenges. For funders to be truly effective in supporting nonprofits in this area, a thorough look in the mirror could be helpful. 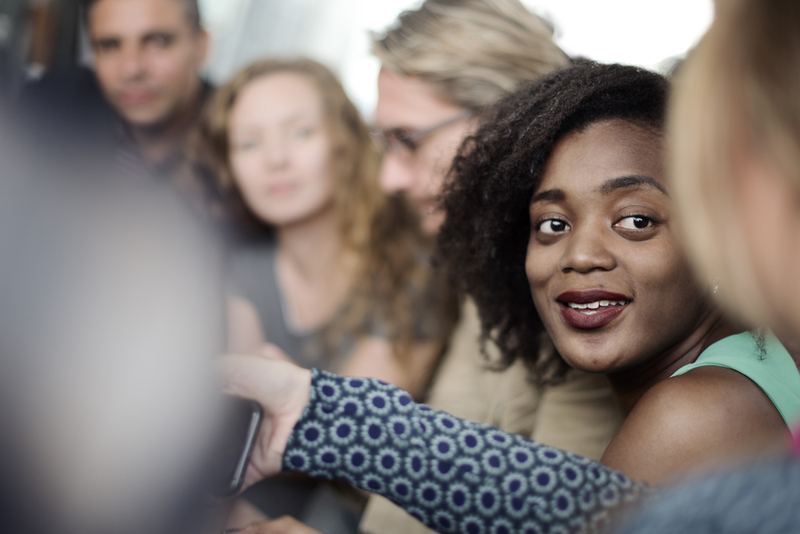 According to a data analysis by Community Wealth Partners, only 22 percent of foundation staff in the U.S. are people of color.